Vladimir Putin held a meeting with the outgoing heads of Novosibirsk Region, Daghestan, Ivanovo Region, Omsk Region, Samara Region, Nizhny Novgorod Region, Orel Region, the Nenets Autonomous Area, and Primorye and Krasnoyarsk territories. The meeting was held in the Kremlin. 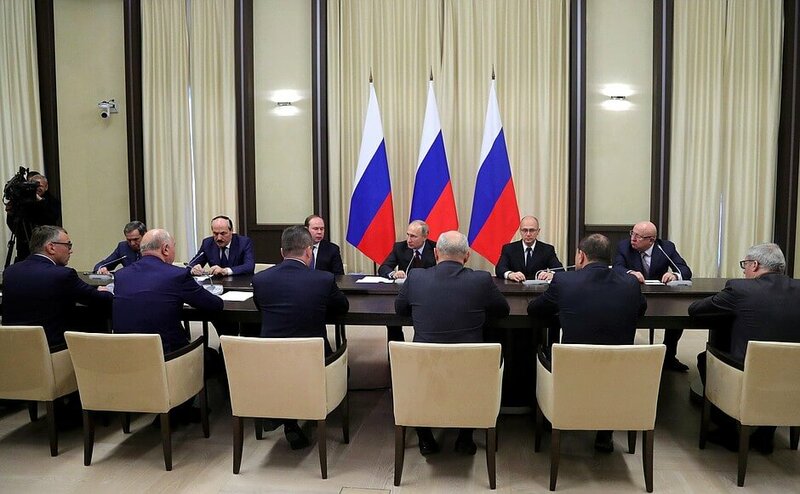 Chief of Staff of the Presidential Executive Office Anton Vaino and First Deputy Chief of Staff of the Presidential Executive Office Sergei Kiriyenko also participated in this meeting in the Kremlin. 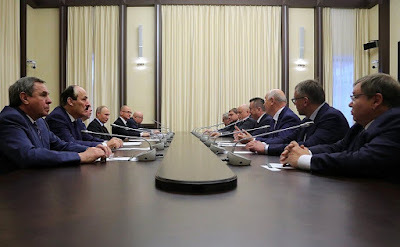 Meeting of Vladimir Putin with former Russian regional leaders in the Kremlin. I wanted to meet and thank you for your outstanding work. Some of you were in office for longer time than others, but all of you worked in extremely difficult circumstances. Here is what I wanted to tell you. We are all aware of the fact that it never was smooth sailing. There is no need to describe the current situation. The circumstances in which we all lived and you worked included external constraints and purely objective things of economic nature. Globally, and for the Russian economy as well, these were not the best times. However, you managed to keep the situation in the country under your full control and stabilize it. It was not an easy socioeconomic challenge, but you did everything in your power to minimize the external negative impacts. 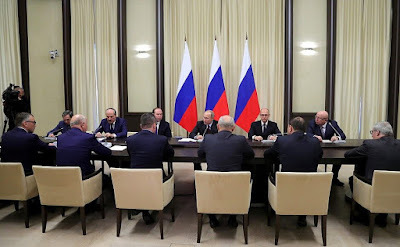 Vladimir Putin at the meeting with former regional leaders of Russia. I am aware that some of you have been asking for a long time to be replaced in your post – some had been already serving for a very long time, and still others were looking for other job themselves, the reasons were different. Anyway, I'd like to stress the most important thing: each of you has done his best in office in order to preserve, stabilize and create proper conditions for the further development of the Russian regions. To conclude the first part of my speech, I'd like to not just express my gratitude to all of you, but also let you understand that all the necessary documents have been prepared, and you'll all receive state decorations for the specific work you did in the regions of Russia. This is my first point. Meeting with former Russian regional leaders in the Kremlin. 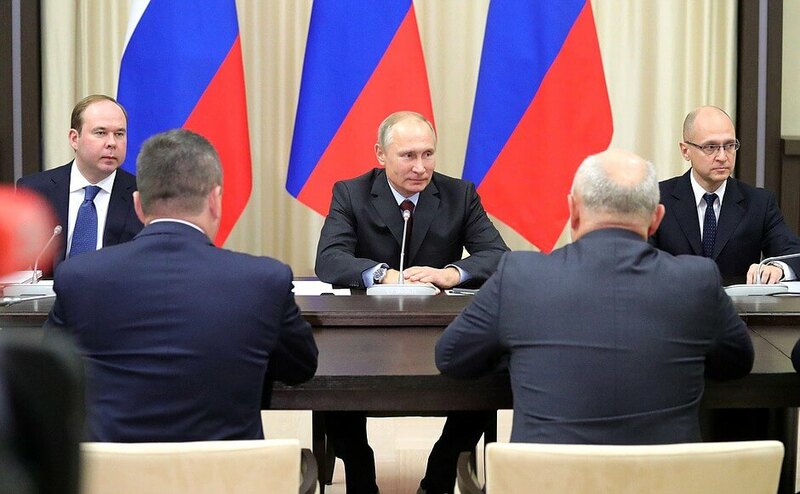 Second is the further development of Russia: human resources and so-called continuity. I'd like to ask you to render your assistance to the people who have taken your place. As a rule, these are young people who are just starting out in these high positions. Probably you have noticed the fire in their eyes. I'm sure that all of them are striving to fulfill their real potential, to show their capabilities. It has always been useful to know and get a sense of what was done before them and what conditions lead to that. It also useful to know about the most promising areas of regional development. Of course, they have to strike out on their own, but I will be most grateful to you if you share with them at least part of your experience and capabilities. 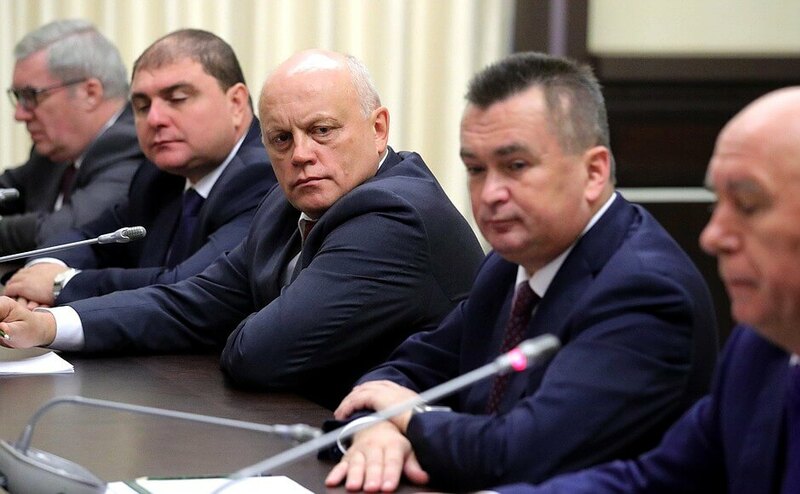 Former Russian regional leaders at the meeting with the President of Russia in the Kremlin. Probably you have noticed that we are trying hard to work with the so-called personnel reserve on a broader scale. The new program, Leaders of Russia, has been announced. There are also other projects for personnel training. So, I am also counting on you in these questions. 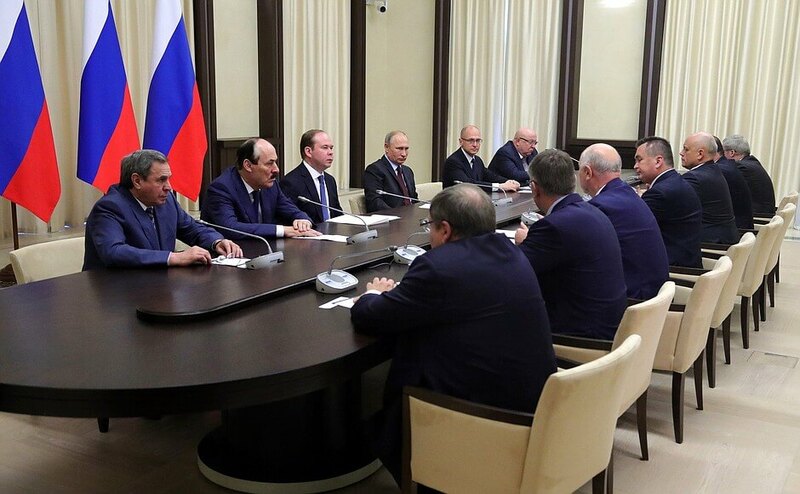 Vladimir Putin held a meeting with former regional leaders in the Kremlin. Each of you already knows approximately what he will do. But there are still some outstanding issues. I want you to know that we'll work on odds and ends with each of you and do our best to allow you make full use of your capabilities, experience and knowledge in your new jobs. I believe you will try to do your best in order to achieve outstanding results no matter what positions you occupy. 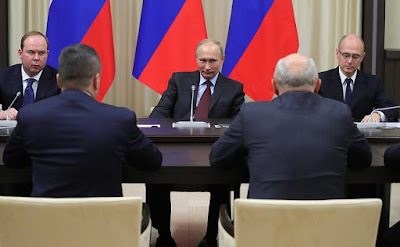 Russian President meeting with former regional leaders of Russia. Now a few words in conclusion of my speech. The New Year 2018 is not far off and I hope to have an opportunity to congratulate you at this reception in the Kremlin. I invite all of you together with your wives to the reception in the Kremlin. We will also invite all other colleagues who has left their positions as heads of regions. 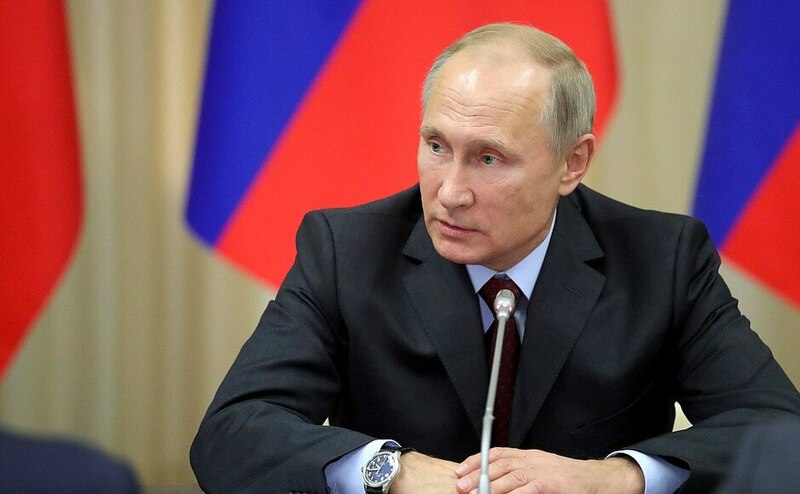 President of Russia Vladimir Putin. That concludes what I wanted to say. I will be pleased to answer your questions and talk informally with you.